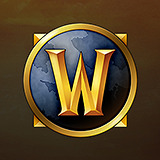 Just thought it would be entertaining to compile a thread of things that people will get wrong when they start playing Classic compared to the current game, especially players who were Wrath babies or started playing later. People not realising they can’t equip certain weapons, because they need to be trained in it. Hunters getting confused over whether they need Agility or Intellect. Hunters forgetting to feed their pets. People not waiting for long enough between mob pulls and dying because they try to complete quests too quickly. Obviously the transition for people who don’t know Classic will be HUGE from BfA. When the warlock forgets to farm some shards before the run.